Now, I don’t want to knock Will Smith, being the sole actor (for the majority of the time) in any movie has to be incredibly difficult, but the movie didn’t rise to the occasion. 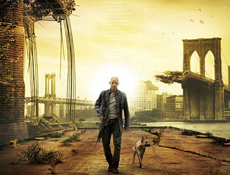 I Am Legend builds on the premise set forth by Richard Matheson’s short story that in our efforts to cure cancer, a virus has hijacked our bodies killing 95% of the population with around 1% of us being immune. The other 4% turns into a kind of modified vampire that burns from UV exposure and lives in “hives”. Will Smith aka Dr. Robert Neville is the only man left and for the past 3 years, he has been working to find a cure to the infection by testing the infected animals and humans. Along with his dog Sammy(? ), which is immune to the airborne virus, but not to the physical transference of it, we see Neville in his attempts to fix all of this. While the movie provides plenty individual conflicts in the form of Neville tricking the infected, the infected tricking Neville, and the madness involved with that, the end really doesn’t add up. If you have heard anyone say that this movie was scary, don’t doubt them. It’s not the Hannibal/realistic/keep-you-up-at-night scary, it’s just the jumpiest movie I’ve seen. One thing that could have been done to make it worse? Have the infected be real. The CG looks amazing, but it falls into the Uncanny Valley where it is almost real, but some tiny discrepancies add up and make the models look horrible. My last complaint: what was up with the end? I haven’t read the short story, but I’ve heard that the end of the movie isn’t anything like the story. Just as it all comes to a point in the final action scene, it’s over. One final scene of pretty Vermont in the fall and we’re done. Unless they are planning a sequel, which they aren’t, so much more could have happened. I feel that more development or closure is necessary. It ended like 28 Days Later, and as anyone who knows me can attest, I hold that to be the worst possible ending to an amazing zombie film not unlike I Am Legend. On a positive note, I really enjoyed how the movie was put together with the information of how the infection came about being woven into Neville’s dreams. It doesn’t come across as being cliche at all. It’s a nice change to the chronological order of events that is usually used. 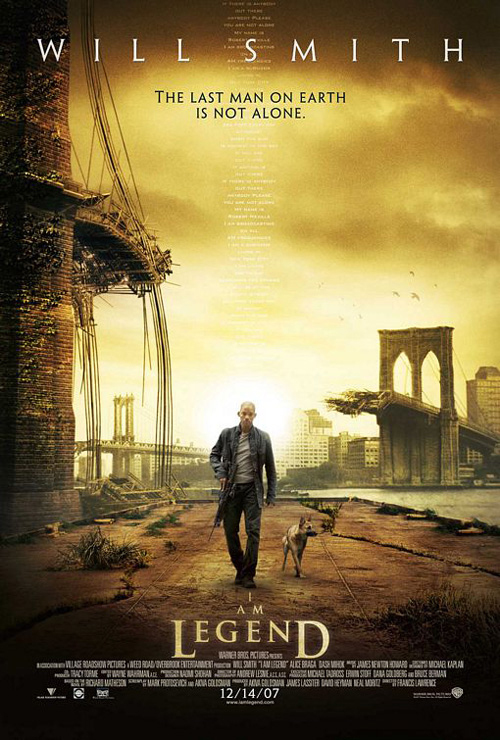 I Am Legend is interesting going in, but nothing comes out of it. This movie has broken many sales records for December, proof that the great trailers paid off. I just don’t feel that any momentum will (or should) be kept.